After graduating from University of California at Santa Barbara in 2011 with a B.A. in Business Economics with an Accounting emphasis, Faith moved back home to San Diego to pursue a career in public accounting. Through her professional career, Faith has acquired accounting experience in various industries including hospitality, psychological services, construction, car dealerships, and trusts. She has experience on audits, reviews, and compilations as well as tax preparation for individuals and businesses. Currently, Faith is in the progress of preparing and testing for the CPA tests so that she can receive her CPA license. At the firm, Faith works as a Staff Accountant. Her duties include individual and business income tax preparation, compilation services, tax compliance services, client services, and other duties. 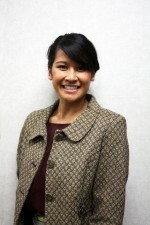 In her spare time Faith serves on the board of two non-profit Filipino American organizations. She enjoys board games, hiking, baking, photography, volunteering, and spending time with her family and friends.